I have been pretty excited to read Murder on the Orient Express by Agatha Christie since I discovered that a remake of the movie was coming out, and that a lot of my favorite actors would be starring in it. Then, the more I read about the book, the more excited I became to actually read it. I was so excited, in fact, that I chose it for my book club pick for this month! (What better way to spend the month than to read the book and seeing the movie!) Having finally read the book, I’m now even more excited for the movie, which I’m hoping to see soon! Let me start by saying that I’ve never read an Agatha Christie book before, though I hear of her books all the time, and I was curious to see what the fuss was about. I actually really enjoyed the mysterious storyline, even though it was a little predictable, and I figured out the plot pretty early in the story. (I would say I’m a good detective, but I’m really just naturally suspicious of pretty much everything. Bahaha!) Despite that, I was still hooked, and I ended up finishing this book in just one day. 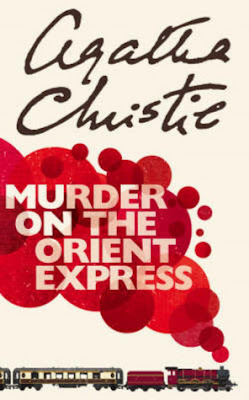 Overall; Murder on the Orient Express by Agatha Christie was not at all what I expected, and though it was a little predictable, I did enjoy the story! I’m really looking forward to reading (and listening) to it again soon, and seeing the movie, both the new one and the original one, as well!